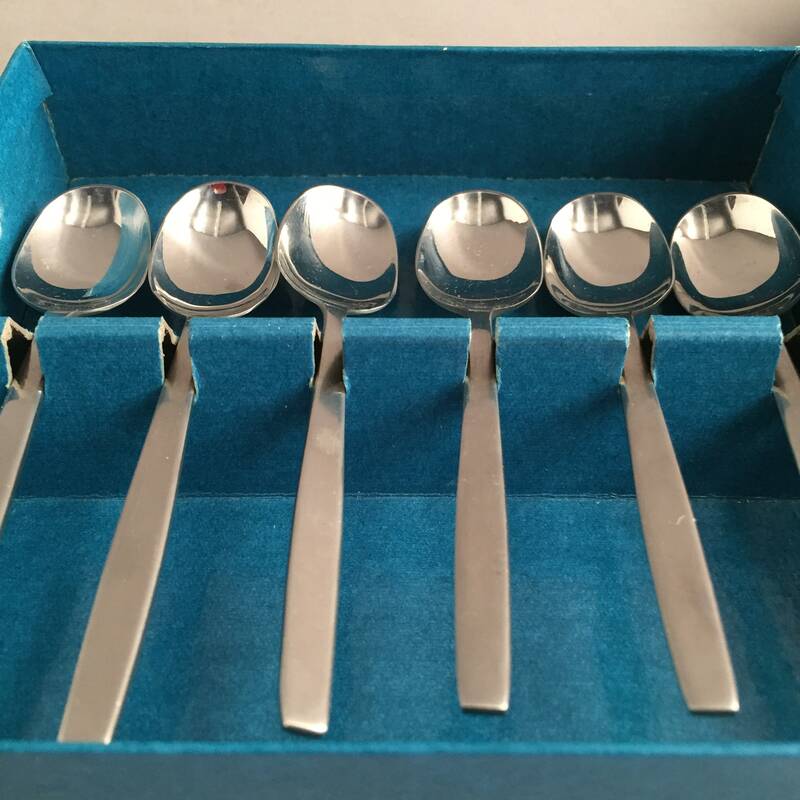 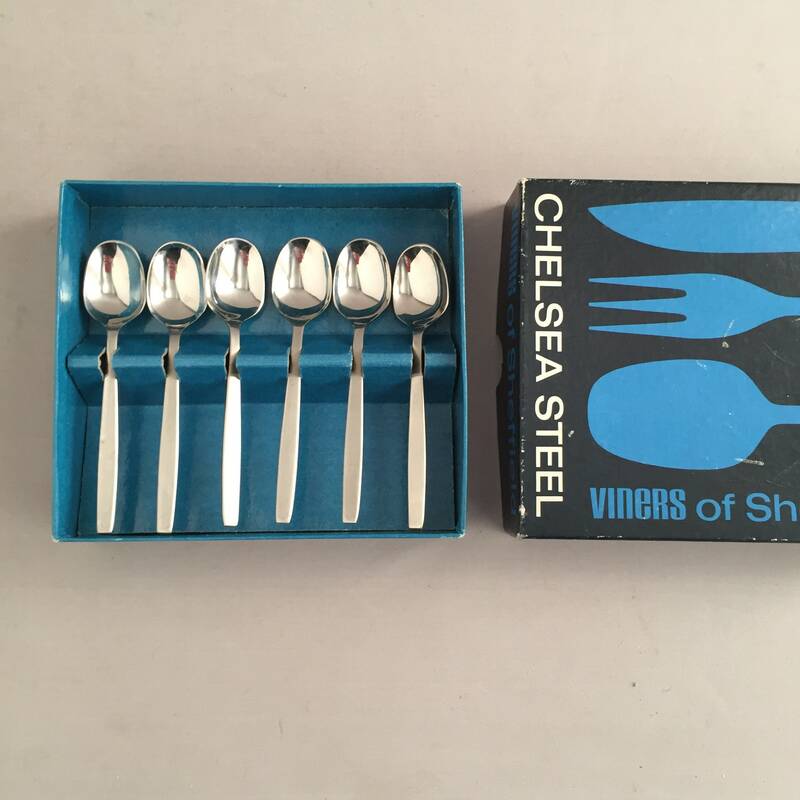 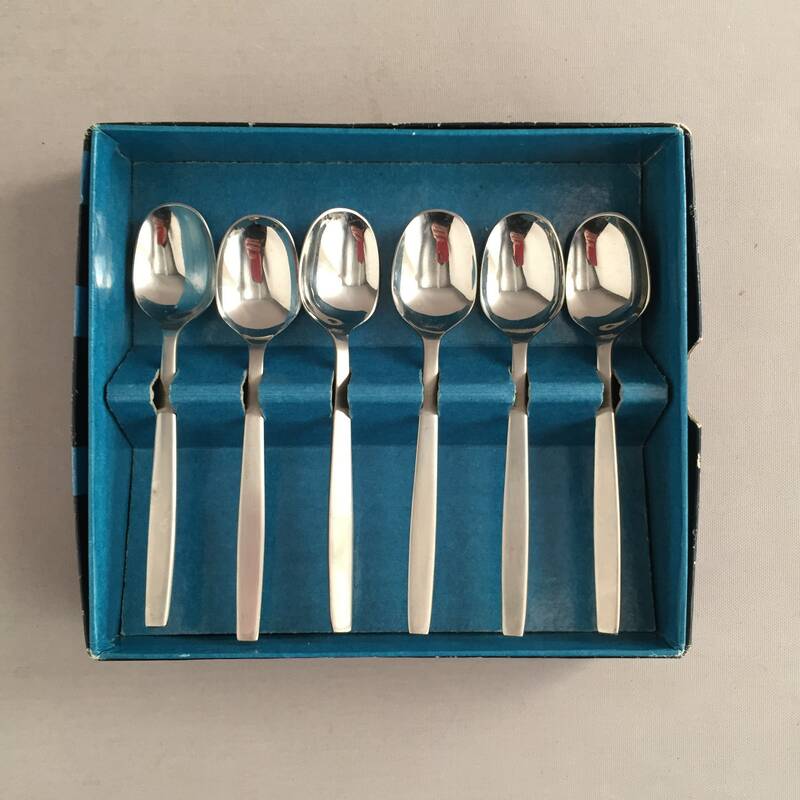 A set of 1960s coffee spoons in the original box. 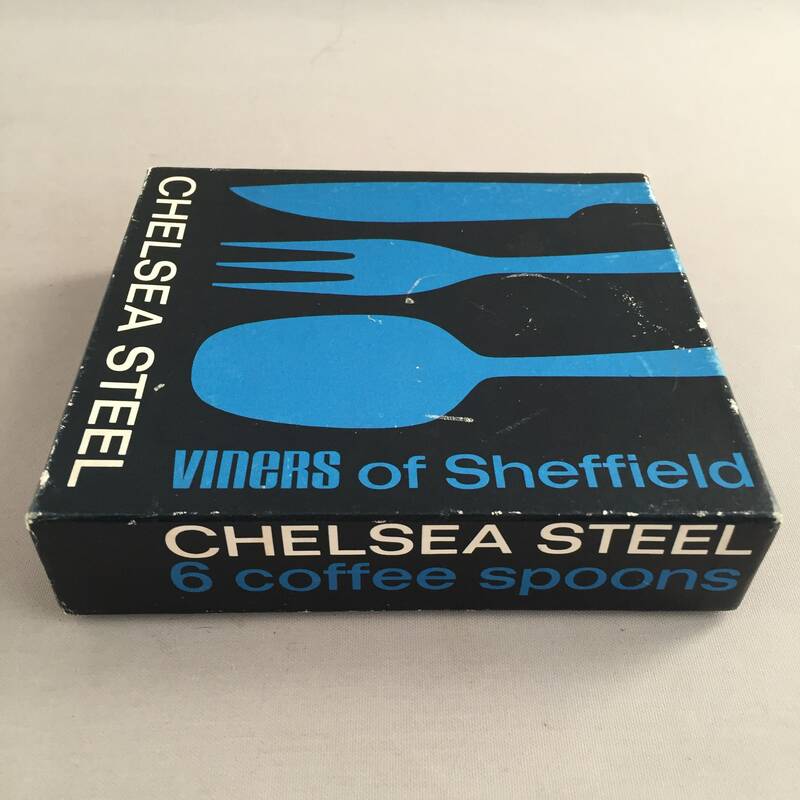 Manufactured by Viners of Sheffield and designed by Gerald Benney, one of the most influential Mid century British goldsmiths. 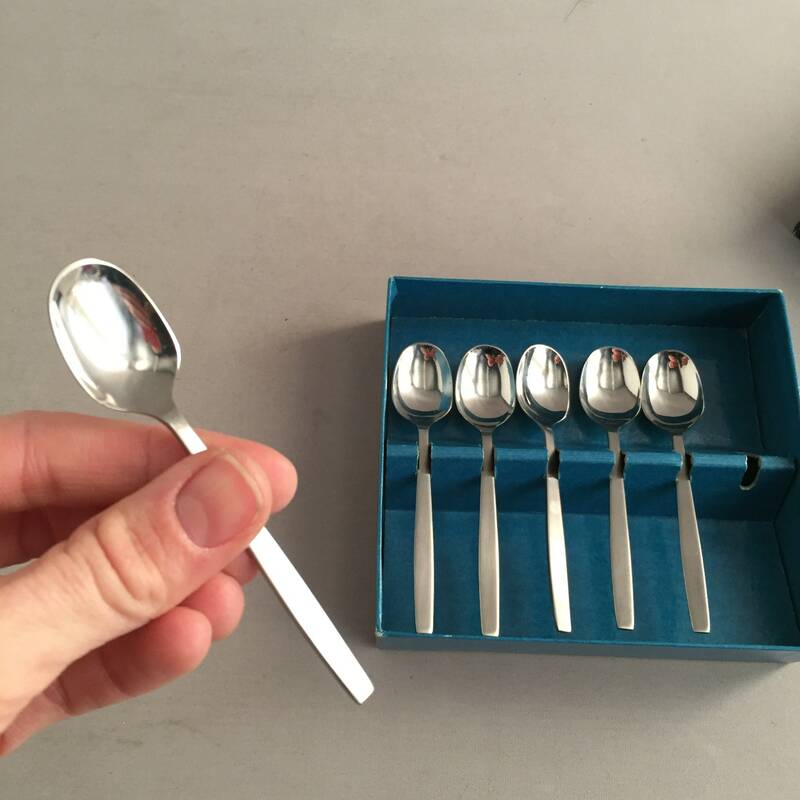 these dainty modernist spoons are beautiful and useful.